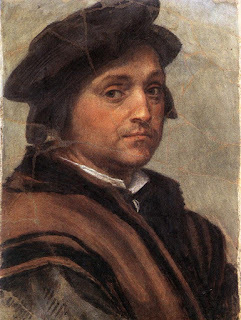 Renaissance artist Andrea del Sarto was born Andrea d’Agnolo di Francesco di Luca di Paolo del Migliore on this day in 1486 in Florence. He had a brilliant career but died at the age of 43 during an outbreak of plague and afterwards his achievements were eclipsed by the talents of Da Vinci, Michelangelo and Raphael. Andrea’s father, Agnolo, was a tailor and therefore the child became known as del Sarto, meaning son of the tailor. As a young boy del Sarto was apprenticed to a goldsmith and then a woodcarver before being sent to learn to be an artist. He decided to open a joint studio with an older friend, Franciabigio, and from 1509 onwards they were employed to paint a series of frescoes at Basilica della Santissima Annunziata in Florence. Del Sarto also painted a Procession of the Magi, in which he included a self-portrait, and a Nativity of the Virgin for the entrance to the church. He married Lucrezia del Fede, a widow, in 1512 and often used her as a model for his paintings of the Madonna. 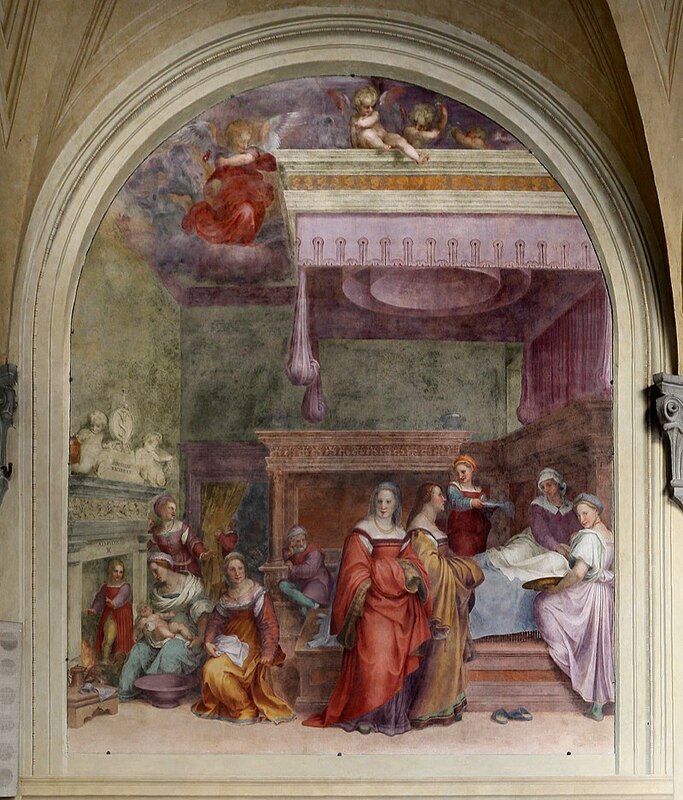 After spending a year as court painter to Francis I of France in 1518, del Sarto returned home to his wife and was offered a major commission by the Medici family, to decorate the Villa Medici at Poggio a Caiano near Florence. The work was offered to him by Pope Leo X but the project ended when the Pope died in 1521. Del Sarto’s fresco at the villa, Tribute to Caesar, is a fragment now incorporated into a much later decorative scheme. 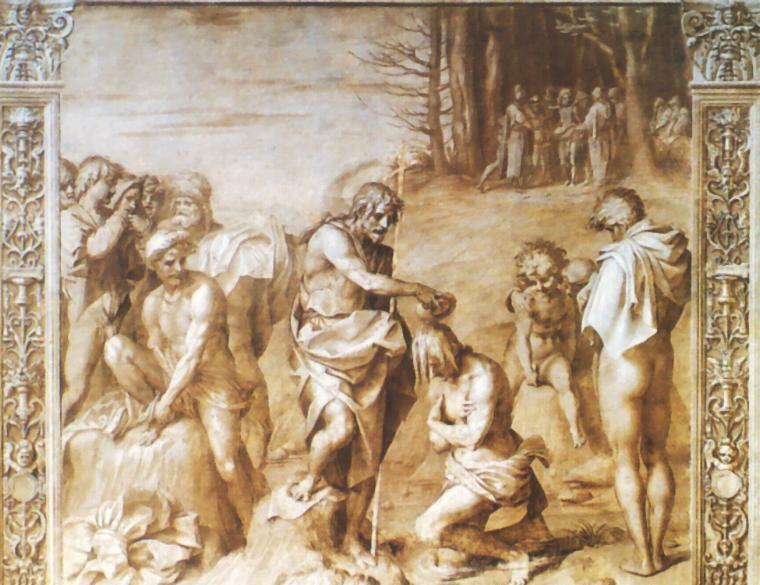 His most important work is considered to be a series of frescoes on the life of St John the Baptist in the Chiostro dello Scalzo in Florence. He started the series in 1511 and it was not completed until 1526, so the work spans a large part of his career and most of the paintings are by his own hand. della Santissima Annunziata in Florence. His artistic style reflected his interest in colour and atmosphere and showed natural expressions of emotion. Del Sarto had a reputation for integrity and professionalism and was regarded by his peers as an artist ‘senza errori’ - faultless. Del Sarto had a house built for himself in Florence, which was modified by other painters who lived there later. He died at his home after plague swept the city in 1530. The exact date of his death is unknown but he was buried in the Basilica of Santissima Annunziata on September 29, 1530. A play, Andrea del Sarto, by Alfred de Musset, was premiered in Paris in 1848. The 1968 opera Andrea del Sarto by the French composer Jean-Yves Daniel-Lesur was based on de Musset’s play. 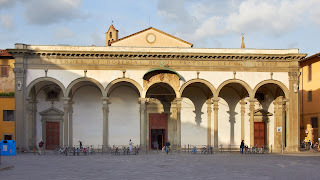 The Basilica della Santissima Annunziata, where Andrea del Sarto is buried, is in the Piazza della Santissima Annunziata in the San Marco district of Florence. 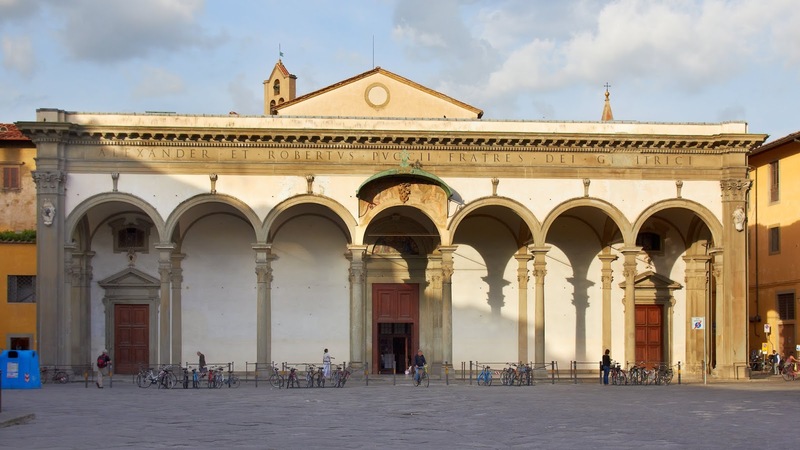 The church was founded by the Servite order in 1250 and later rebuilt by Michelozzo between 1444 and 1481. Del Sarto’s frescoes can be seen in the atrium of the church. Newly wed couples traditionally visit the church to present a bouquet of flowers to a painting of the Virgin by a 13th century monk, where they pray for a long and fruitful marriage. The Chiostro dello Scalzo, where del Sarto painted his fresco cycle featuring the life of St John the Baptist, is in Via Cavour in the San Marco area near the Basilica della Santissima Annunziata. The cloister used to be the entrance to the chapel of the Confraternity of St John the Baptist, which was founded in 1376 and lasted until 1786. Thankfully the frescoes were preserved and can be viewed free of charge in the cloister every Monday and Thursday and on some Saturdays and Sundays each month.